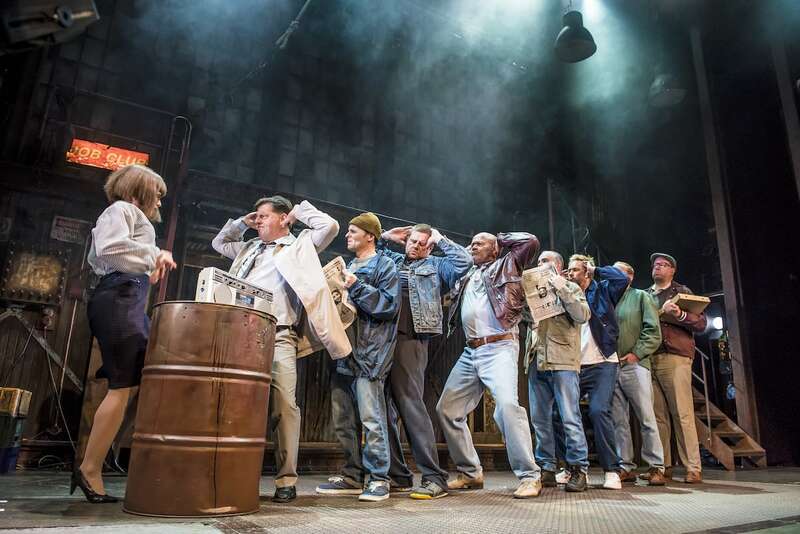 I've been a firm fan of The Full Monty for years, it's one of my favourite films and is always guaranteed to make me laugh so when I discovered there was going to be a theatre production, I was ready and waiting in the wings! 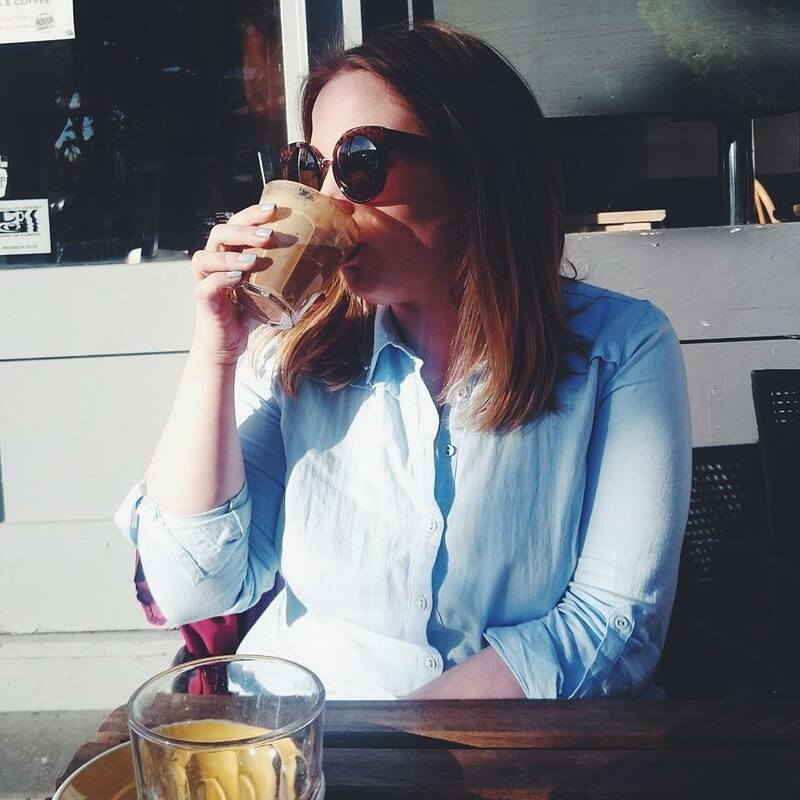 The Full Monty stage play swings into Southampton this week and I headed to Mayflower Theatre for an evening full of laughs and um... other things with my bestest for a Galentine's date. 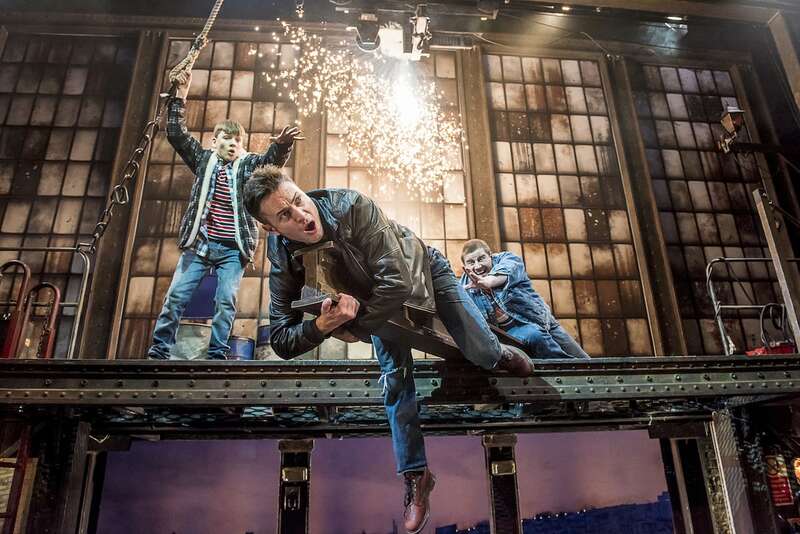 The set design of The Fully Monty is brilliant and instantly sets the scene inside an abandoned Sheffield steelworks full of old telephones, crates, oil drums and a few water logged electrics. 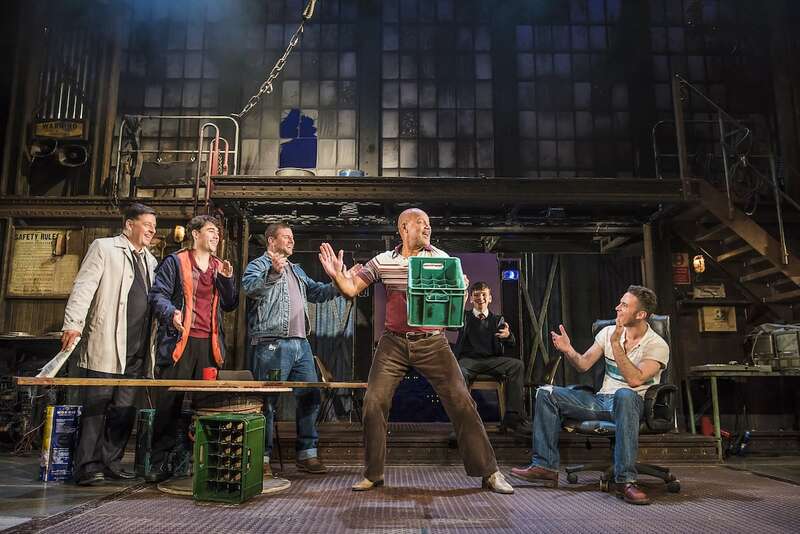 The set design, movement, lighting and music helps take you from scene to scene transforming the stage from the steel works to a nightclub and the job centre where that classic queue scene takes place. 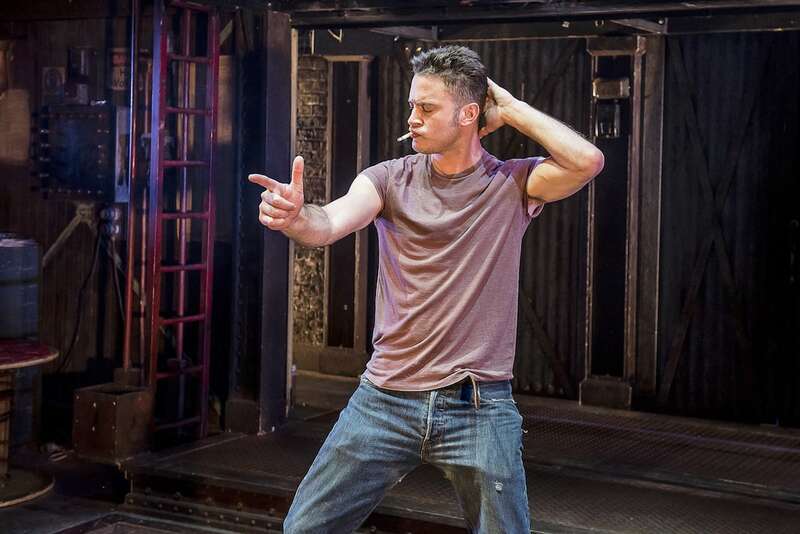 The Full Monty isn't just male strippers, as much as I'm sure the audience last night would've liked it to be. The Bafta winning film and now play is a tale of friendships and relationships as well as bringing focus to redundancy, poverty, depression and homosexuality. The stage play stays true to the original film which was one thing I wonder about especially as such a firm fan. The soundtrack is also fab and full of well known hits from Hot Chocolate, Tom Jones and Donna Summer. You can't help but tap your feet along to the music. Our strippers for this evening were some much loved stars, Gary Lucy was the apple of everyone's eye, Andrew Dunn played a lovable conservative Gerald while Kai Owen played a brilliant Dave. Kai definitely stole the show for me, he was funny, likable and played Dave so well! There was also Louis Emerick who played Horse and had some killer moves and James Redmond who played Guy perfectly even giving some of the ladies in the front row quite an eyeful. The entire cast were brilliantly picked, they worked so well together on stage and the chemistry was obvious. It made for a really enjoyable show. The finale is obviously the big night full of lights, music and teeny red thongs and you could practically feel the entire audience getting ready for the big showdown. The cast performed it so well and with a cheeky grin or two and the show was ended with a stand ovation from the audience, something I've heard has happened at every single showing so far this tour. It'll make the perfect girls night out! Complimentary tickets for the purpose of review - see disclaimer. This looks incredible! I love going to the theatre, its fab! It’s such a good film and I bet the stage show is amazing too. The staging looks great! I've never actually seen the film haha.